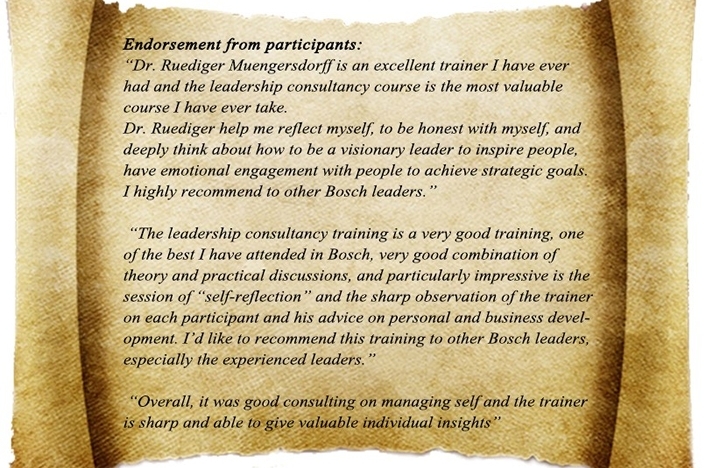 Together with the following endorsement of one of our trainings we were asked, what is the difference between a good leadership-training and a five-star training? The answer is relatively simply – don’t elaborate on one of the uncountable leadership theories but give people the chance to reflect their current and future positions, create a space, where they can discover their own personality and emotional condition. Or very simply: get personal.